For 150 years, we’ve worked hard to earn the business, and the trust, of those across Michigan. Our customers have been our focus since the day we opened our doors, and doing whatever it takes to meet their needs has always been our top priority. Often, we go beyond what people expect of a bank. But to us, community banking means serving our customers and communities as more than just their bankers. We’re their friends and neighbors, locally invested the same way they are. But what does that mean for you? It means every time you step in one of our banks – whether in Bad Axe, Grand Rapids, or Traverse City – you’ll get the services of a big bank, the service of a small local bank, and the kind of support that comes from banking with a trusted partner. With more than 60 locations across Michigan’s lower peninsula, Independent Bank Corporation (Nasdaq Symbol: IBCP) is a Michigan-based bank holding company with total assets of $3.4 billion. 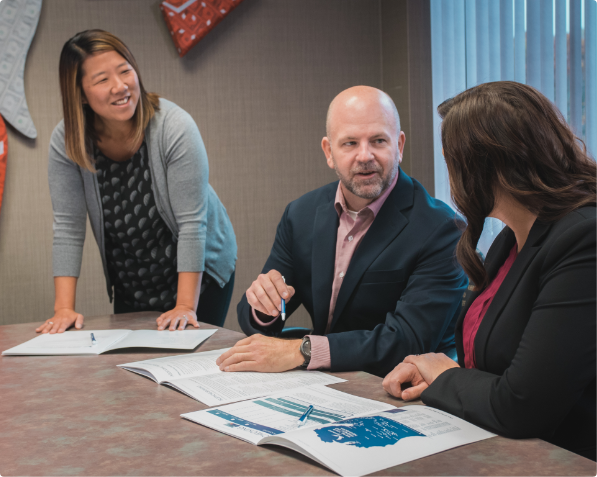 With a full range of financial services including commercial banking, mortgage lending, investments, and title services, we’re committed to providing exceptional service and value to our customers, our stockholders, and our communities. Our historic timeline since 1864. 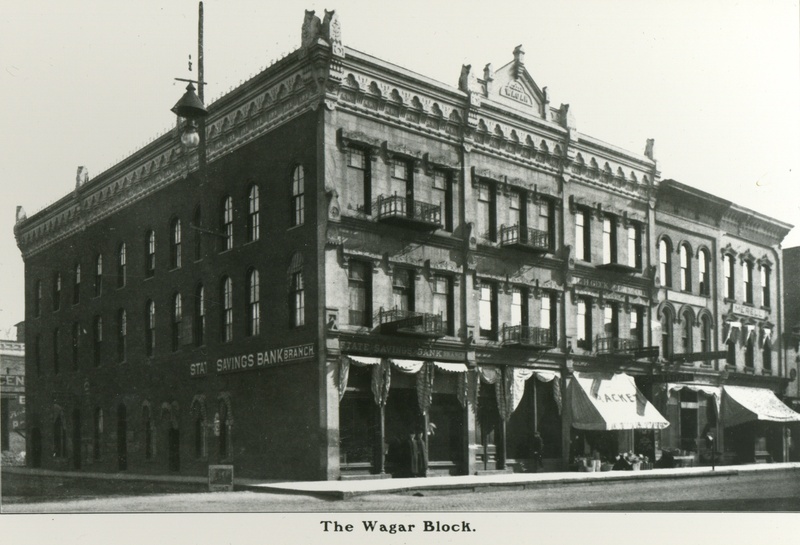 In 1864 – more than 150 years ago – we started out as First National Bank of Ionia. Since then, we’ve maintained our local roots while growing across the state. During those 150 years, many things have changed, but our greatest achievements are rooted in the things that haven’t. We’re invested in our communities today just as we were in 1864, and we’re your friends and neighbors, not just your bankers. Those are the kind of relationships we began building 150 years ago, and they’re still the foundation of our business. First National Bank of Ionia was founded as one of the National Bank Act's first charters. It had $50,000 in deposits. The bank gave up its national charter, obtained a state charter, and reorganized as State Savings Bank of Ionia. State Savings Bank of Ionia combined two offices into one Ionia location, which became the Ionia Main office. State Savings Bank of Ionia changed its name to First Security Bank. Independent Bank Corporation formed, but stayed inactive until it acquired First Security Bank on June 1, 1974. Independent Bank joined the NASDAQ stock index. Independent Bank entered the market in the Thumb region with the addition of offices in Caro and Unionville. Offices were added in the Alpena, Hillman, Hale, and Rogers City areas in Northern Michigan. Independent Bank first reached $1 billion in assets. Offices were added in the Bay City, Saginaw, Mount Pleasant, Battle Creek and West Branch areas. Independent Bank first reached $2 billion in assets. Metro Detroit offices were added in Beverly Hills, Bloomfield Hills, Farmington Hills, Livonia, and Troy. Independent Bank completed the unification of four affiliated Michigan banks into one. New offices were opened in Houghton Lake and Muskegon. Independent Bank sold 21 offices in Battle Creek and Northeast Michigan to Chemical Bank. Independent Bank rebranded with a more modern, forward-looking eagle to match the bank’s philosophy and direction. Independent Bank added three branches in the Traverse City market, along with a branch in both Suttons Bay and Williamsburg. Independent Bank was named a Forbes BEST-IN-STATE Bank for 2018. At Independent Bank, giving back to our communities is as important to us as giving loans or holding deposits. At Independent Bank, we invest in our employees, and are continuously dedicated to enhancing and developing their skills. Independent Bank was recently named Small Business Administration (SBA) 504 Lender of the Year by the Economic Development Foundation. Independent Bank understands that this is a time of uncertainty, and is working to provide as much support as possible to their customers. Federal employees who contact Independent Bank in regard to not receiving paychecks during the government shutdown will be offered assistance.